Note: Teams seeking help can have their advisor request an engineering mentor using this link. The mentors will be provided by the Quad City Section of the American Society of Agricultural and Biological Engineers (ASABE). The estimated time required for the volunteers varies slightly volunteer role. We are estimating most roles are from 8:00 AM – 4:30 PM. Bad Weather Plan: We plan to hold the event event if it rains unless we encounter extreme conditions (rain all day, lighting or high winds). If we decide to postpone for the entire day, we will send out an e-mail early on Thursday morning and post on this event page. If we need to reschedule, which is very unlikely, we will reschedule to Monday, April 22, 2019. This competition is part of the QC Tech Challenge. 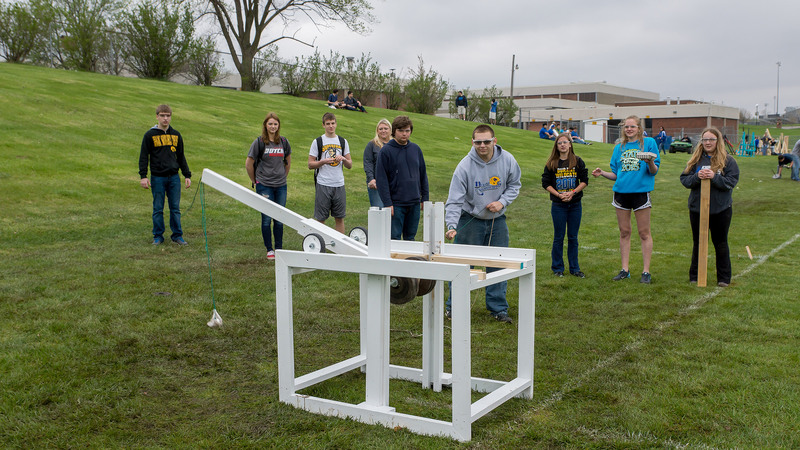 High school teams and individuals received points from each of the 3 QC Tech Challenge events (Battle of Bridges Contest, Trebuchet Egg Throw Contest, and Cardboard Boat Race. A traveling trophy is provided to the top high school and an award to the top scoring individual along with a scholarship. Teams: Teams will consist of a minimum of three students (recommend no more than eight) and one advisor. A student is someone who has not yet graduated from high school. An advisor may be a teacher, principal, parent, or guardian or anyone designated by the school that is an adult and willing to take on the challenge and responsibility. 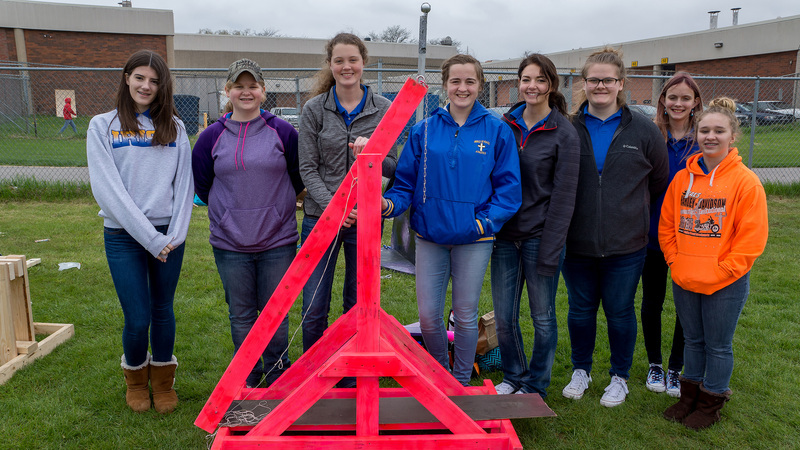 Event Overview: Teams design & build trebuchets to launch raw eggs at targets at three, specified distances 75, 100, and 125 feet. Each team will get four shots at each distance with the two best shots counted for scoring along with the points from the longest throw. The field competition portion will count for 70 of the total 110 possible event points. 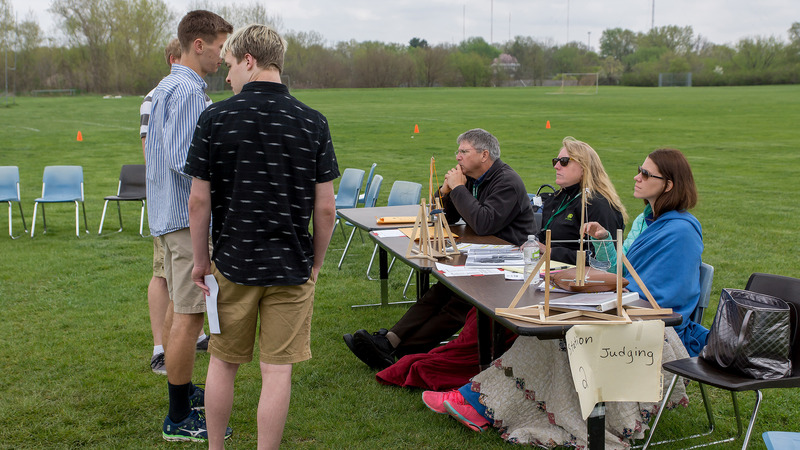 In addition to the trebuchet, a presentation worth up to 40 points is given by each team to local engineers & STEM professionals from the QCESC. Top 3 teams based on total score will receive one picture trophy per team and individual medals for each team member. Teams will be notified of actual schedule and the schedule will be posted on this page by Monday, April 15, 2019. The start and ending time will depend on how many teams participate in the event. Typically we start with inspections around 8:00 AM and wrap up with awards around 4:30 PM. Coaches will be responsible for placing their teams in the appropriate slots. 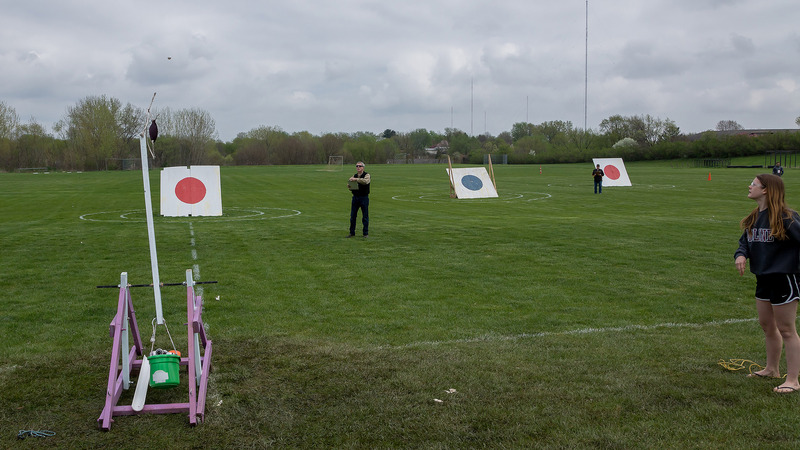 A team will have 30 minutes to move their trebuchet to the launch area, throw their eggs, and clear the area. Failure to comply with the time regulations will result in penalties as described in the rules. 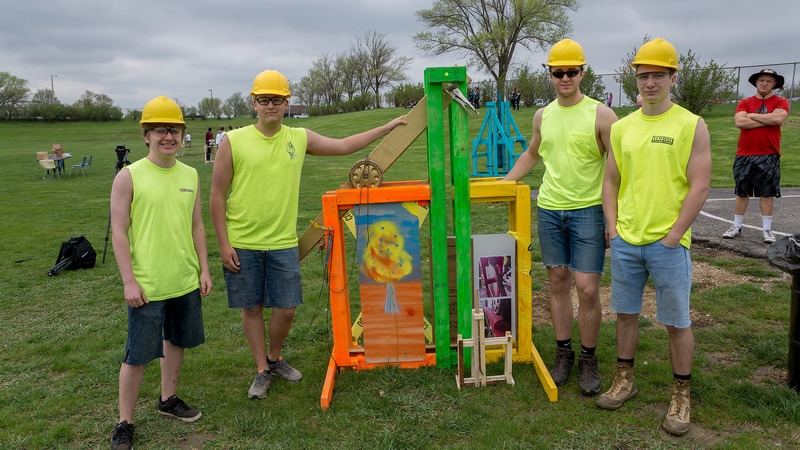 Please arrive at least 30 minutes before your scheduled time to have your trebuchet inspected to confirm meets rules including for safety give presentation to the judges, and then throws. The presentation will be given before throwing eggs. It will not be done as part of the 30-minute time limit. Engineers & STEM Professionals from the area will be watching your presentation and scoring it. They will have questions, so be prepared. A list of teams will be added below as they register for the event. A list of volunteers will be added below as they register and are assigned. Total Number of Students Participating. 37 teams with 124 students from 5 area high schools in 2017.